Rhizome rot caused by Pythium spp and Fusarium spp is one of the most devastating diseases of ginger in most of the ginger growing areas of the Nepal. 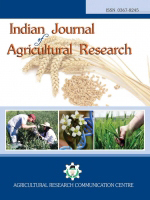 Realizing the context for development of alternative control strategies to reduce dependency on synthetic fungicides, a field experiment on management of rhizome rot disease of ginger using eco-friendly natural products was conducted at GRP, Kapurkot, Salyan during 2012/2013. Fresh and fermented extract of Artemesia vulgaris Linn (Titepati), Urtica dioica (Sisnoo), Zanthoxylum armatum DC. (Timbur), Allium cepa L., (Onion), Allium sativum L. (Garlic), Capsicum annuum L. (Chili), Nicotiana tabacum (Tobacoo) along with Jeevatu (a mixed product of beneficial microbes) and biofit were tested in the experiment. Experiment was conducted in the naturally inoculated sick plot in RCB design with eight treatments replicated thrice. Each experimental plot area was 3m x1.5m (4.5m2). Observation on plant number, tiller clump-1, plant height, disease incidence, fresh rhizome yield, disease rhizome yield and mother rhizome yield were recorded and evaluated using statistical analysis tool MSTAT-C. Fresh rhizome yield for all the treatments were found lower than national average. Jeevatu (5%) treated plot had highest fresh rhizome yield (7.70 m t ha 1) followed by (onion+garlic+chili) + urine (1:3) fermented extract (4.88 mt ha 1). Similarly, rhizome rot scale (1.66), disease incidence (41.96%) and the diseased rhizome yield (0.74 mt ha 1) was shown least on jeevatu treated plot. Highest disease rhizome yield (2.37 mt ha1) was obtained in the treatment titepati + urine (1:2) fermented extract followed by control (2.07 mt ha1). Anti Fungal, Botanical Extract, Ginger, Rhizome Rot.